(21.3cm) Condition: small breaks to rim restored to a high standard. A similar plate is illustrated in Christiaan. Jorg,'Famille Verte: Chinese Porcelain in Green Enamels', 2011, p. According to Jorg this type of rim originated c.
1700 and was probably produced for the European market. 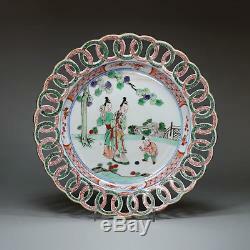 The item "Antique Chinese porcelain famille verte plate, Kangxi (1662-1722)" is in sale since Tuesday, January 16, 2018. 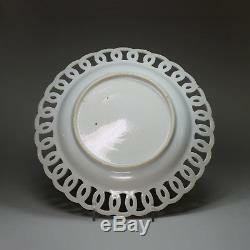 This item is in the category "Antiques\Asian/Oriental Antiques\Chinese\Porcelain".